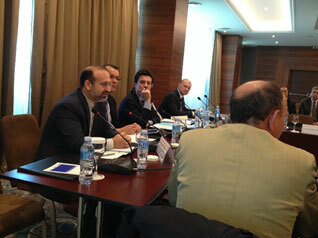 An international seminar on “Preparing for the 2015 NPT Review Conference,” (RevCon) co-organized by the Algerian Ministry of Foreign Affairs (MFA) and the EU Non-Proliferation Consortium (EUNPC – Fondation pour la recherche stratégique, Paris, France), was held at the Sheraton hotel, near Algiers (Algeria), on 8 and 9 April 2015. The event was supported by the EU. About 50 people attended the seminar: over 20 countries were represented, many at the ambassadorial levels. The ONUDA and the IAEA were represented. The president of the 2015 Revcon was present, along with the chairs of the three main committees of the Revcon. Five experts from the EUNPC and one nongovernmental expert from the Middle East gave presentations and/or moderated sessions. It was recognized that the 2015 NPT RevCon would be difficult because of inadequate implementation of the 2010 action plan. Yet the interim deal between Iran and the E3+3/EU (the Lausanne agreement) was perceived as an opportunity to create a positive atmosphere because it strengthens the NPT and shows that nonproliferation tools work. The cornerstone of the EU non-proliferation strategy (“effective multilateralism”) was recalled and its approach to the 2015 Revcon was detailed. Most of the challenges facing the RevCon were developed during session I (“Challenges and opportunities for the 2015 NPT Review Conference”). Session II (“Achieving progress on nuclear disarmament, including new approaches”) was marked by constructive propositions. It was stated that peaceful uses of nuclear energy (Session III) are crucial for social and economic development. Contribution of the Nuclear Weapon Free Zones to Non-Proliferation and Disarmament was detailed in Session IV. The success of the Nuclear Free Zones (NFZ) as a cross-cutting tool and issue for the NPT regime was recognized by the participants. Lastly, session V dealt with various aspects concerning the reinforcement of the NPT Review Process: institutional, procedural, substantive.